His cover might be blown! 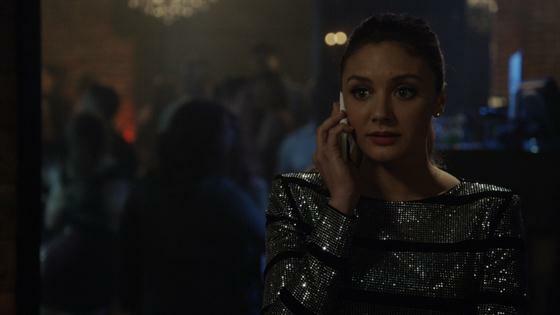 Zach (Kyle Toy) may have just got himself and Megan (Christine Evangelista) into some big trouble on The Arrangement. He thought he was safely chatting to Megan about Julie Woolth, but Kyle (Josh Henderson) is always watching. "I know, I know you're worried. But you have to go back and get Julie to talk to you," Zach tells a stressed out Megan over the phone. Unfortunately, Zach didn't see Kyle come up behind him and it was already too late. "Dad, I gotta go. I'll call you back," he says before hanging up on Megan. Kyle's a lot of things, but he's not an idiot. "Sorry. My dad. His physical therapist keeps flaking on him. What's up?" Zach tries to play it off. "Who's Julie?" Kyle asks calmly. "His physical therapist. Why?" Zach says. "You hung up as soon as you saw me," Kyle tells him. "And you're using a burner phone. Zach, who's Julie?" Looks like it's game over for Zach and Megan's little mission. "I already told you. Can I go now?" Zach asks before trying to leave the room. If there is one thing we know about Kyle, it's that he doesn't give up easily. "Sure. Let me call him," Kyle says before taking his phone and dialing the number. Uh-oh. Is it game over for Zach and Megan? Watch the tense moment in the clip above!